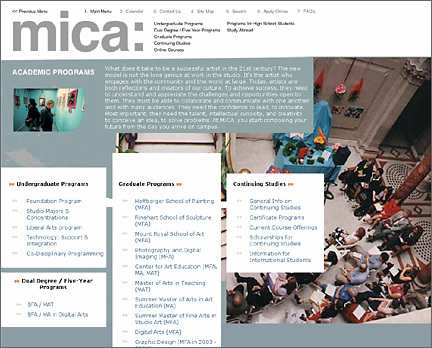 Maryland Institute College of Art: A new component to higher ed recruitment > Videos for live presentations, a new digital direction, and a plan for the 21st century. 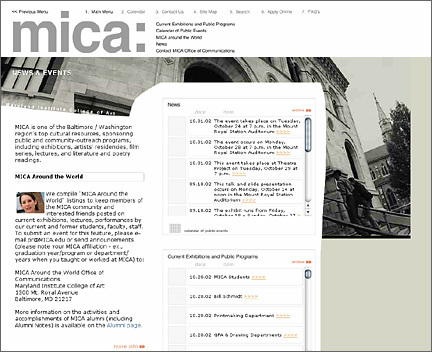 We created a new look, new brand, and new interactive approach to the The Maryland Institute College of Art website. The site was a massive undertaking not only for the size and breadth of the project, but also the burden of building consensus at an art school, where everyone has an opinion about the outward-facing aesthetic. 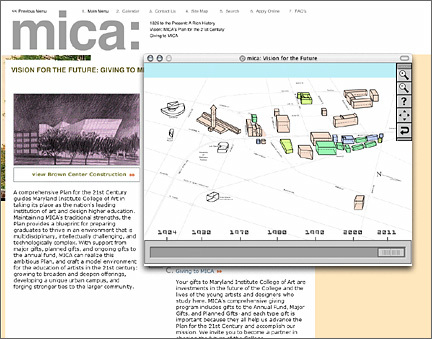 After the acclaimed launch of the new site, mica was then announcing the Brown Center, the plan for the 21st century, and the new digital direction of the school. They approached me to create some videos to tell the story of MICA and capture the feeling at the school. We created a 10 minute portrait piece for the grand opening. Then we created some beats and cut the original footage to the music for presentations and recruitment. A quick snapshot of the people, place, and feeling of the school. 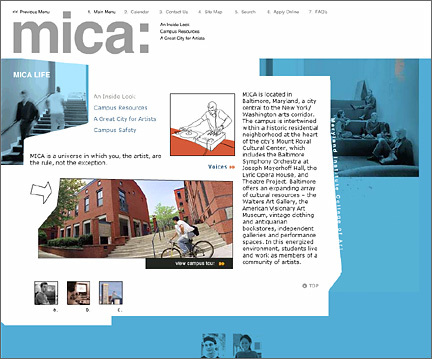 Mica: The Plan from Peter Quinn on Vimeo. mica: The Plan (remix) from Peter Quinn on Vimeo. 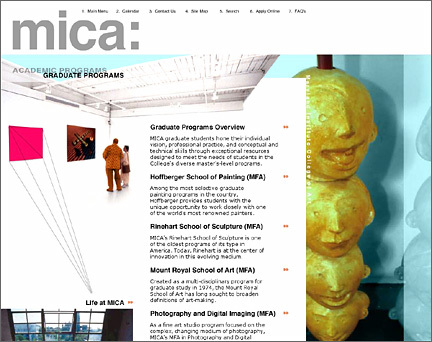 Below are some thumbnail examples of the site we created for mica. It was a deconstructed grid playing with positive and negative space with a flash navigation at the top.